We are happy to say that autumn is finally here meaning that we can finally get warm sweaters out, go for long walks in the forest collecting golden leafs, and hide in cosy cafes for a cup of hot chocolate. We love October, and you know why? Because it’s the month of Halloween and we can enjoy so many fun activities. We at Party Houses have made a selection of the best events in the Peak District for a proper quality family time! Given that the Halloween is around the corner and you must be looking for a spooky event for the entire family. Then Scarefest at Alton Towers in Staffordshire is the place for you. Electrifying entertainment and thrilling rides await you at the park every weekend of the month, and during the entire week of the Halloween week. Family entertainment, live shows, spooky characters, children’s rides and more. Book your tickets in advance. 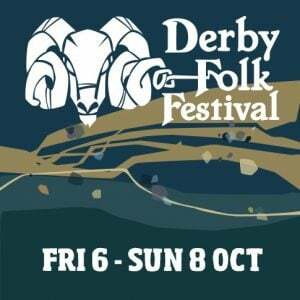 For the past 11 years, Derby festival has become a symbol of October. Located right in the centre of the Derby, this family – friendly event is a perfect way to enjoy a weekend with your loved ones. Free music performances, dance displays throughout the streets and a lot of good food. Brilliant entertainment, food, and drinks ranging from the finest hand crafter larger, cider and beer from around the region await you at the Peak District Fair and Buxton Beer Festival. Gardens Marquee which will be full to the brim with some of the most incredible jewellery, craft, art work and food the Peak District has to offer. The home of the Duke and Duchess of Devonshire awaits you and your little monsters for a very special weekend at the Chatsworth house and garden. Book your tickets now, which include access to the house, garden, farmyard and playground.